February 29, 2015 – RICHMOND, VA – The Collegiate Running Association has announced that the third-annual Collegiate Mountain Running Championships will take place on July 3, 2016, at the Loon Mountain Race, hosted by acidotic RACING, in Lincoln, New Hampshire. For the third consecutive year, prize money will be distributed to the top college finishers in the Men’s and Women’s Collegiate Mountain Running 10-kilometer race. The Loon Mountain Race will also serve as the USATF Mountain Running Championships, the sole selection race for the 2016 Senior Men’s and Women’s US Mountain Running Team. The top six overall finishers in the men’s race and top four finishers in the women’s race will automatically qualify to represent the U.S. at the 32nd WMRA World Mountain Running Championships on Sunday, September 11, 2016, in Sapareva Banya, Bulgaria. In order to be eligible to compete in the Collegiate Running Association Mountain Running Championships, participants must either be enrolled in a college course at the time of the race or have completed a course during the spring semester (January 1-July 3, 2016). In order to be eligible for Collegiate Running Association prize money, participants must be free members of the Collegiate Running Association. 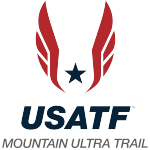 In order to qualify for the US Mountain Running team, participants must be members of USA Track & Field (USATF). “Our US mountain running program has greatly benefited from the work that Steve Taylor and Jon Molz have accomplished with the Collegiate Running Association. Fostering competitive opportunities for our nation’s collegiate runners has been instrumental in attracting and retaining these same athletes well into their future in our sport. 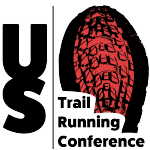 It’s the perfect fit to our US Championship program and enhances the appeal to media, sponsors, and fans of our sport,” said Nancy Hobbs, USATF Mountain Ultra Trail Council chairperson. Registration for the Loon Mountain race is now open and is just $25 before March 1 and $30 after. Register today. The Collegiate Running Association is a 501(c)3 non-profit organization founded November, 2013 with a mission to promote healthy lifestyles among college students by providing and expanding opportunities in the sport of running. Our vision is to offer national championship events in road, mountain, and trail running with prize money specifically reserved for college students that are open to all college students enrolled in at least one class. In our first year (2014) the CRA held two national championship events with $16,000 in prize money reserved for college students: a 10k road race held within the Ukrop’s Monument Avenue 10k in Richmond, VA, and a Mountain Race held in conjunction with the USATF Mountain Running Championships in Lincoln, New Hampshire. Combined, these events saw college students representing 150 colleges and universities compete. In 2015, the CRA held four national championship events offering $32,000 in prize money open to all college students: a 10k road race held within the Ukrop’s Monument Avenue 10k in Richmond, VA, a trail race held within the newly created Indiana Urban Wilderness Run in Indianapolis, IN, a Mountain Race held in conjunction with the USATF Mountain Running Championships in Bend, Oregon and a half-marathon road race held within the Harbor Lights Half-Marathon in Norfolk, VA. To learn more about 2016 championship races and other events sponsored by the visit the CRA website. To become a free member of the Collegiate Running Association, click here. Press release written by Steve Taylor, Founder of the Collegiate Running Association (CRA). 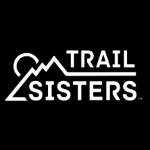 The CRA is an American Trail Running Association partner organization.